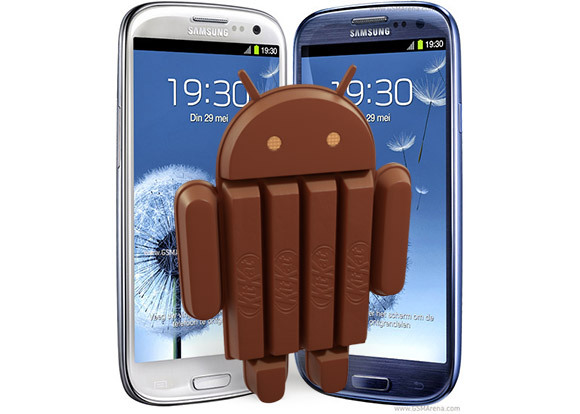 Following the launch of Android 4.4.4 KitKat for the Korean version of the Galaxy S III, Samsung is launching the very same update for the international LTE version of the phone (GT-I9305N). The software version of the update is I9305NXXUFNI4 and is currently available in the Nordic region. Users can expect the latest Android version to give their Galaxy S III LTE phones faster performance and improved battery life. There are some user interface improvements too, such as white status bar icons, fulscreen album art from the Music player and updated Samsung apps. The update is meant for the LTE version of the phone only, which comes with 2GB of RAM. For the owners of the device, who are impatient, the link below will lead you to the firmware update for manual flashing. Trying to do update the regular GT-I9300 model will result in bricking the device, so it's not advised to undertake it. How are white status bar icons an "improvement"?